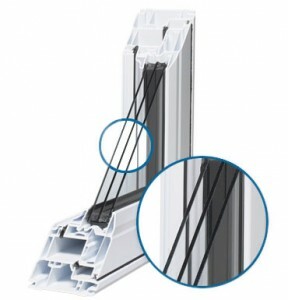 Glass Options - North Star Windows | Find a Dealer Today! A more energy efficient glass product will improve your home’s energy performance in every season, so you’ll save energy – and money – year-round. 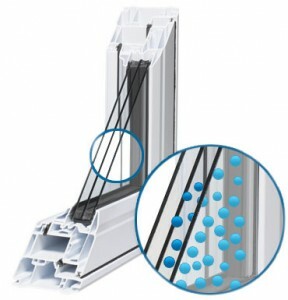 The glass in all North Star windows meets or exceeds industry standards. Glass is also available in a variety of attractive and practical options. LOF – Pilkington Energy Advantage Low-E is the best glass for most applications in a northern climate. It has a very high retention rate of the heat in your home in winter and prevents heat gain from outside in summer. Energy Advantage Glass has a higher Solar Heat Gain Coefficient (SHGC) than Low-E glass designed for more southern climates, providing free winter heat for your home. Since as much as 95% of your energy expense for heating and cooling combined is for heating, this glass is more cost effective than glass without a high SHGC. 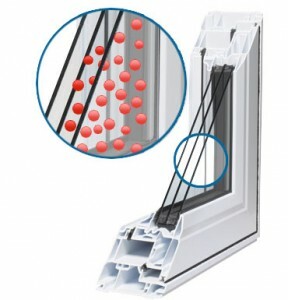 Triple-glazed windows utilize three panes of glass to dramatically reduce condensation and thermal transfer while insulating as much as 60% better than double-glazed windows. North Star’s optional triple-glazed windows offer incredible energy efficiency.